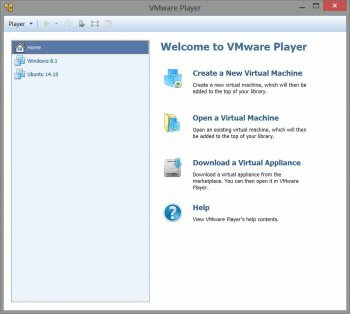 VMware Player is ideal for safely evaluating pre-built application environments, beta software, or other software distributed in virtual machines. With VMware Player, anyone can easily experience the benefits of preconfigured products rapidly without any installation or configuration hassles. Common problem help files should be OFFLINE ONLY! FREE / OPEN SOURCE and STILL the BEST! Where is comparisson of Player 7 vs. Workstation 11? Their licensing changed with version 4 I think, so I dont consider that free. Until its portable like VirtualBox its 2 stars. Absolutely the best virtualization software! It works well. As a web application developer, this makes a lot of sense. I can have several different OS's installed on my machine. 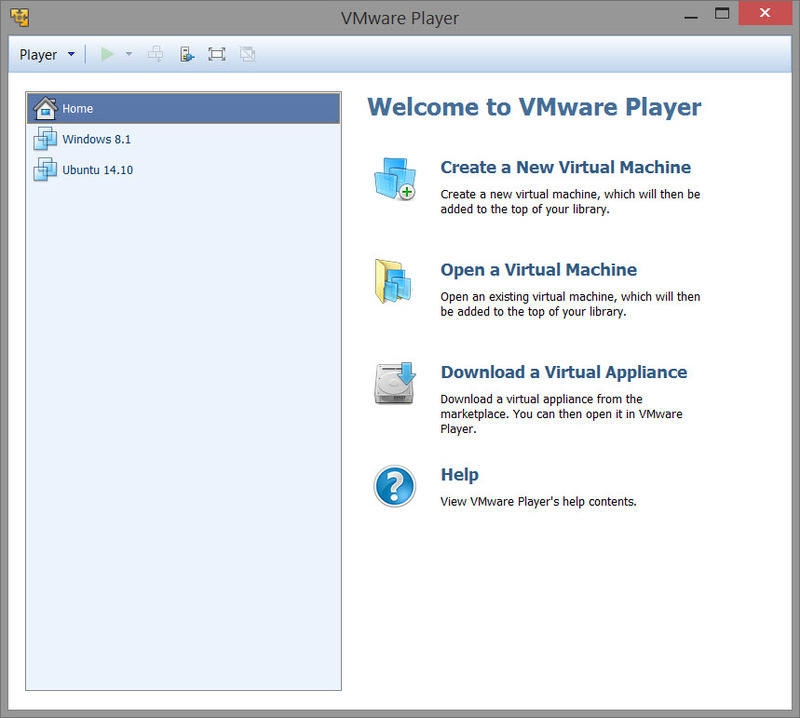 it is nice that VMware player is the updated and more likely us WMware player.. Thanks for the information where can we download it? Excellent piece of software. VMWare player has evolved to replace VMWare Workstation now. It looks as if it will not run in linux with a windows machine. ?? Windows with a linux machine yes, but why bother. Just buy a cheap minipc. Down link does not work and what's with the having to give them your firstborn just do download it? I switched from virtualbox to vmware player b/c of superior usb support. i am still a fan of virtualbox, but they really need to address this problem. Two previous men obviously have their Windows installations broken. It's rock solid, I've been using VMWare for more than ten years.